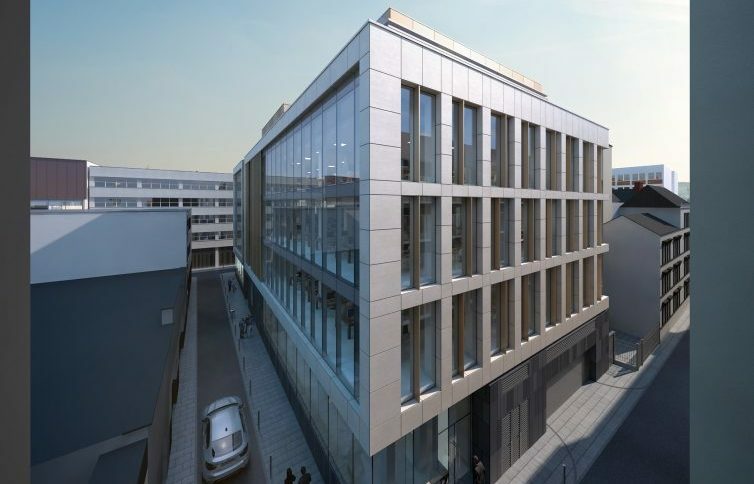 [Currently Under Construction] John Cleary Developments along with award winning architects Henry J Lyons, are bringing this striking new building to the heart of Corks traditional business core. 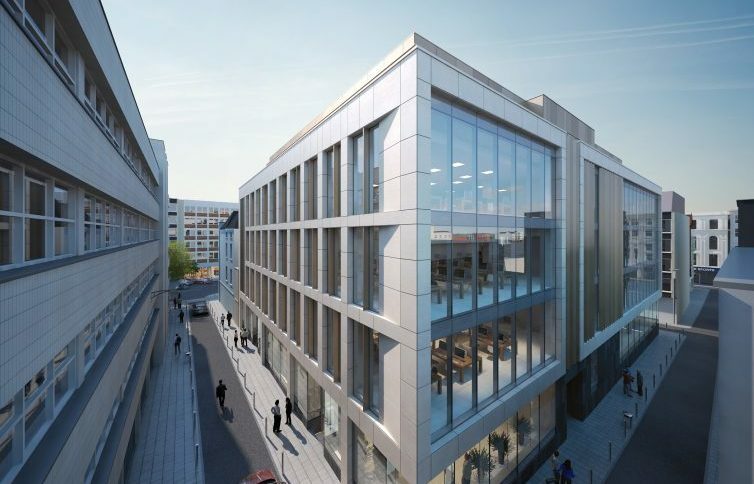 Consisting of over 46,000 sq ft of grade A office space and designed to gold LEED standard, 85 South Mall presents a rare opportunity to work in the heart of the city centre in such a transformational building. 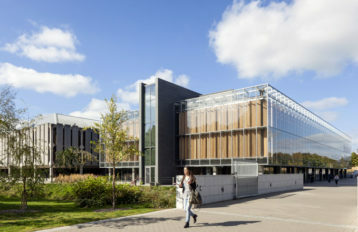 Energy efficient curtain wall glazing incorporating decorative external bronze fins. Designed to gold LEED standard, this striking next generation office building is an architectural gem. 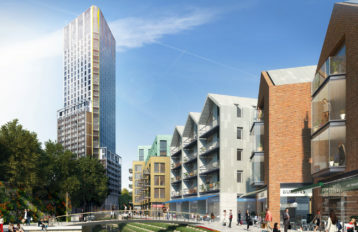 The building comprises of over 46,500sq ft of next generation office space and offers extremely efficient and flexible floor plates of up to 11,000sq ft with an abundance of natural light provided by floor to ceiling glazing. 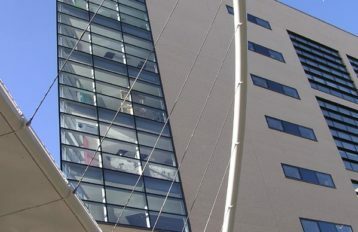 The building also features south facing terraces on the 3rd and 4th floor overlooking the South Mall and east towards the River Lee and City Hall. The buildings main visitor reception area comprises the entire ground floor frontage of over 2,300sq ft onto the South Mall. There will be access control barriers, a business hours concierge to greet visitors and will be finished with a thoughtful mix of walnut panelling, natural stone floor finishes and striking artistic features.